MALL ATTACK: The owner of the Discount Drug Store in Ipswich Mall was assaulted. 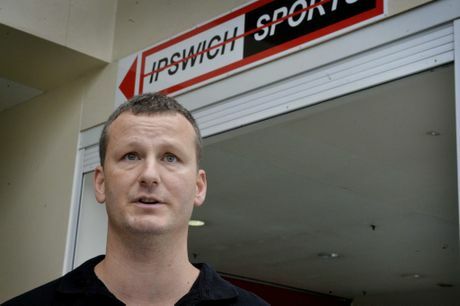 WILL Geertsma has hailed the bravery of assault victim Bob Slater and warned that the Ipswich mall is "a dangerous place" that is making running a business a nightmare. Mr Geertsma, the owner of Ipswich Fitness, came to the assistance of 59-year-old Mr Slater when he was savagely beaten by a 26-year-old man on Thursday evening at 5.45pm. It was the man's second assault of the night. He spent the evening in the Ipswich watchhouse and was later charged. 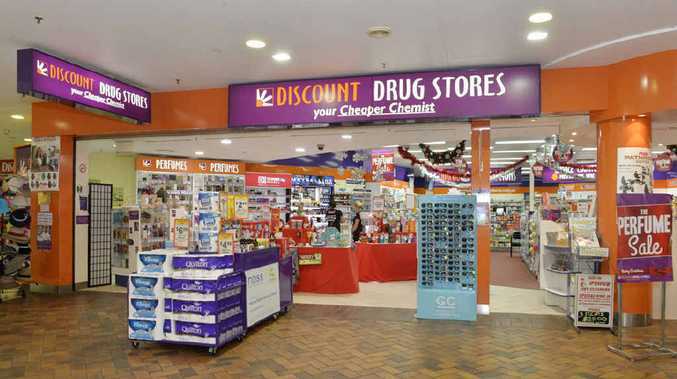 Mr Slater, the owner of Discount Drug Store Chemist, had earlier chased a shoplifter out of his store. Then the 26-year-old man, one of 20 youths in a group, attacked him. Mr Geertsma was leaving work when he saw a lot of commotion going on down the bottom end of the mall. "I got half-way down the mall...but then I saw Bob getting assaulted. Bob is a good friend and I wasn't going to let him down," he said. "I raced down and said for Bob to get in the back of the shop. "He (the assailant) kept coming and turned on me and threw a few shots. I ducked and weaved. "He didn't land any on me but he got a few more on Bob. He cracked a massive shot to the back of his head. "It was the same spot where Phil Hughes got hit on the head with a cricket ball, and we all know these one punches can kill. "It was so close. It was a totally unprovoked assault. Mr Geertsma said Mr Slater was brave and withstood punches that some fighters he had trained would not have been able to, and had to convince him to go to hospital. He reiterated that "the mall is just so dangerous now". He has been running his business in Ipswich for 15 years, and in the mall since 2006, but intends to close his doors. "And in those eight years, my business has dropped every year," he said. Both Mr Geertsma and Cr Andrew Antoniolli have called for more police patrols in the mall. Cr Antoniolli said the loss of the Police Beat had meant that a regular high-visibility police presence has been infrequent and inadequate at addressing anti-social behaviour. "Everybody knows Bob and knows him to be a gentle, kind, hard-working community man. The fact that some thug would target him in this way absolutely disgusts me," he said. Insp McDonald said the offender was adversely affected by drugs, had no respect for anyone and that police "could have been at the top of the mall and he still would have assaulted the pharmacist".